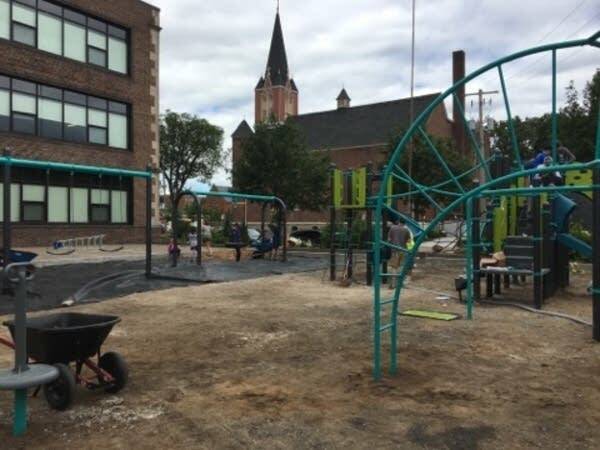 Ascension Catholic Church and School in north Minneapolis has its first playground after almost 125 years. For years the school had been using a parking lot next to the school as a play area for students. But as enrollment began increasing, a decision was made this year to get an official playground. Plans called for turning part of the parking lot into a structured play area. Laura Wagner, director of development for Ascension, said this project was important because it gives kids from the neighborhood a safe area to learn through play. "Most of our families don't have access to a lot of exercise ... so that big motor skill piece that comes along with a playground is incredibly important for our scholars," she said. Fundraising is usually the biggest obstacle for projects like this, but the community was determined to see this playground built. Through donations from the community and outside donors, the campaign raised almost $30,000 in two weeks. 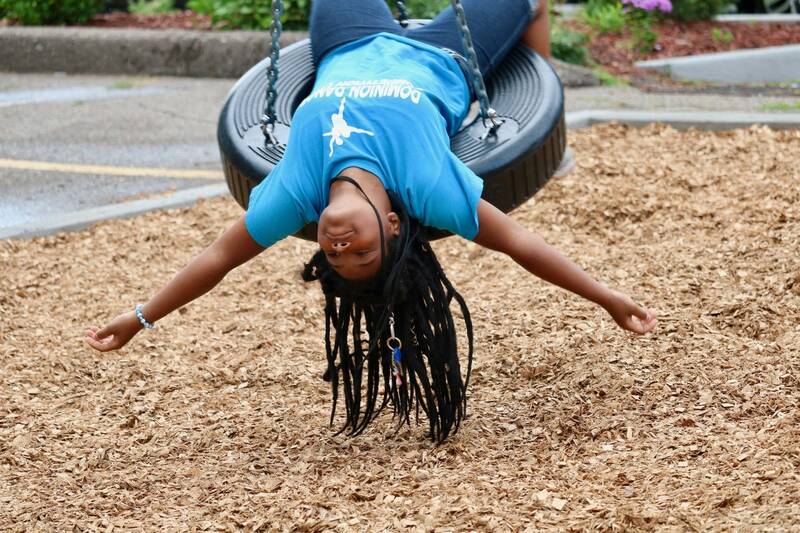 Members from the community and Christpower volunteers from outside parishes came together this week to help put the finishing touches on the playground. They attached rope bridges, set up swings and helped spread piles of mulch around the play area. Joe Gallagher, 17, a Christpower volunteer from St. Michael, said he enjoyed getting to meet the community while working on the project. "I personally love helping people and it's just a fun time to be away ... and just be in a community that I don't know," he said. After weeks of planning and hard work, the playground was finished Thursday evening just in time for its grand opening celebration. Volunteers joined members of the parish and community for a meal and to celebrate the playground's completion. If smiles are any indicator, this playground got two thumbs up.